Command & Conquer (C&C or C&C1), which also known as C&C Tiberian Dawn, is a 1995 real-time strategy video game produced by Westwood Studios for MS-DOS and released internationally by Virgin Interactive, which was also the first game title of Command & Conquer franchise. In Germany, Command & Conquer was sold with the subtitle “Teil 1: Der Tiberiumkonflikt” (“Part 1: The Tiberium Conflict”). 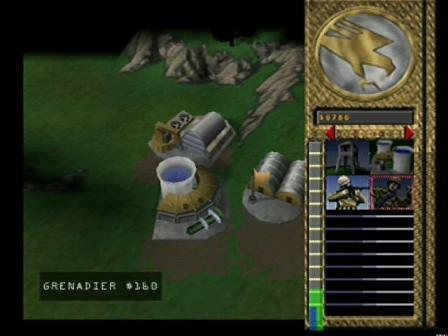 The original Command & Conquer is set in alternate history Earth within the year 1995, and tells the story of two globalized factions; the Global Defense Initiative of the United Nations, and the ancient quasi-cult, quasi-state organization known as the Brotherhood of Nod, becoming locked in a mortal struggle for control over a mysterious resource known as Tiberium that is slowly spreading and infecting the world. Command & Conquer was originally released for PC with MS-DOS and Windows, and had since been ported to many other platforms such as Apple Macintosh, Sega Saturn, PlayStation, Nintendo 64 (also known as Command & Conquer 64), PlayStation Portable, and Playstation 3. EA (Electronic Arts) has also made another release named as Command & Conquer: Gold, which also known as Command & Conquer: Windows 95 Edition), that is a re-release of the original game for Windows 95 and above. It was included with the collectors pack Command & Conquer: The First Decade, and features an improved engine and interface similar to that of its prequel, Command & Conquer: Red Alert. The new game engine runs at a resolution of 640×400, twice that of the original’s 320×200 MCGA resolution. On August 31, 2007, current publisher and owner of the C&C franchise Electronic Arts made Command & Conquer (Windows95/Gold version) as freeware, and is freely available for download to install and play without limitation, to mark the franchise’s 12th anniversary. Right-click the install.exe or setup.exe of the Command and Conquer Gold installation disc and select Properties, then go to Compatibility to tick the check box for Run this program in compatibility mode for and select Windows 95. Uncheck and untick the check box for DirectX so that installer DOES NOT install or update Direct-X. Download CCGOLDXPPATCH.ZIP, then unzip the files and copy thipx32.dll into the install directory of the game (default path is c:\WESTWOOD\C&C95). Go to the install directory of the game (default path is c:\WESTWOOD\C&C95), right click on C&C95.exe, select Properties, go to Compatibility tab, tick the check box for Run this program in compatibility mode for, select Windows 95 from the drop down menu, tick the check box for Disable visual themes and Turn off advanced text services for the program. Command & Conquer Gold Edition for Windows PC does not support multiplayer online player after patching to support Windows XP and higher operating system. Command & Conquer has a expansion pack named The Covert Operations, which includes fifteen new “very difficult” single player missions, ten new multiplayer maps and seven new high quality CD audio tracks (as well as lower quality in-game versions). Unlike the original game’s, the expansion’s missions can be played at any time and in any order, and, with the exception of the dinosaur bonus missions, are not accompanied by briefing cutscenes. Follow the text instructions in the archive to install the expansion pack. The second game in the CnC series, Command & Conquer Red Alert is also available for free download.